THE SKINNY: I am not a big fan of oils in general. They tend to leave a little too much mess behind. And the smell ... that's really what had me hooked. The almond aroma is fresh and nice. I kept catching whiffs of it all day. This stuff is packed with skin goodness, too -- almond oil, omega 6 and camelina oil, which is rich in omega 3. My small bottle did not have a spray top but the larger sizes do. 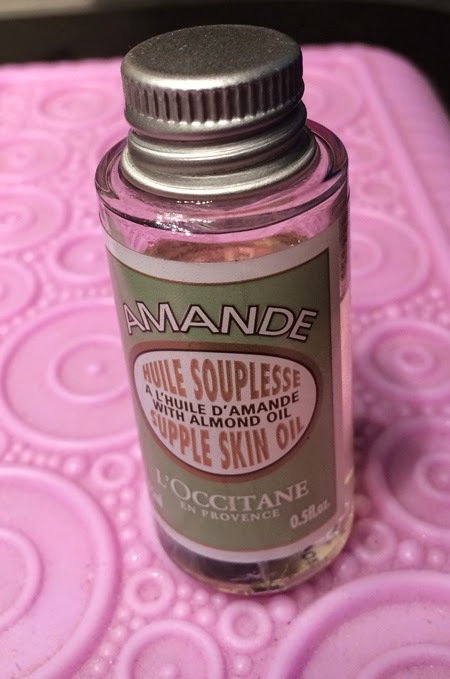 CHECK IT OUT: Buy direct from L'Occitane, and make sure to look for special offers.